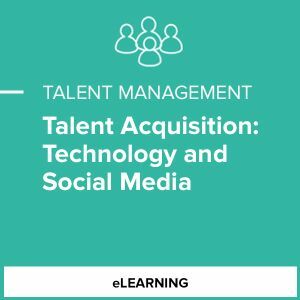 The Talent Acquisition: Technology and Social Media course introduces learners to a variety of technologies and their use when identifying, recruiting, and onboarding a new employee. The course also explores social media and the important role it plays in social recruiting. The course looks at the advantages and disadvantages of certain technologies and steps for implementing technology effectively.